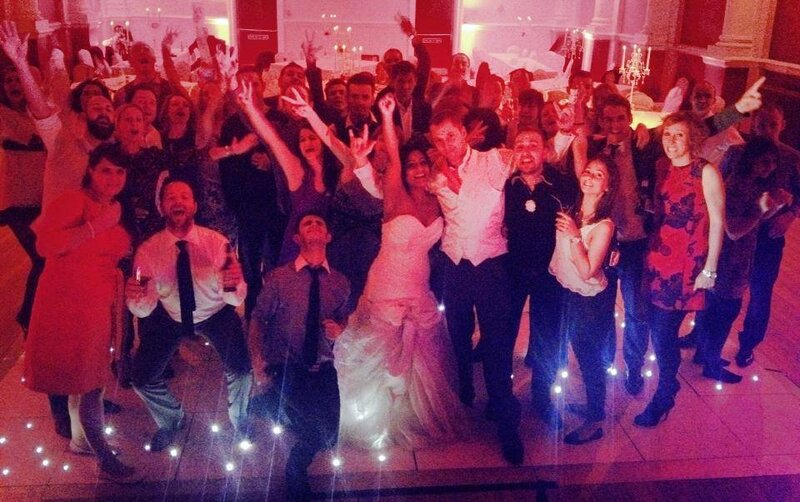 Hire the UK's best rock and pop wedding cover band in the South East. Although based in Hove, East Sussex Anthem are available to book throughout the UK! Anthem put on a show which is so amazing, you could pass out in the vicinity of the dance-floor and your body would refuse to stop dancing! This 4 piece band have shoe-horned hit after hit of modern day and classic anthems together and as if their musical talent wasn’t enough, they have cunningly devised a brilliantly entertaining show to ensure audiences are wowed from start to finish. Number of Reviews and Counting... 208! The 4 guys in Anthem have been entertaining function crowds up and down the country with their modern day rock and pop set list and incredible musicianship. With years of experience between them this is one cover band who guarantee to get even the most ardent of non-dancers strutting their stuff! In addition, Anthem provide a DJ option when they are not performing. Anthem are an absolutely fantastic band, their set list is incredible - loads of floor fillers and amazing quality. 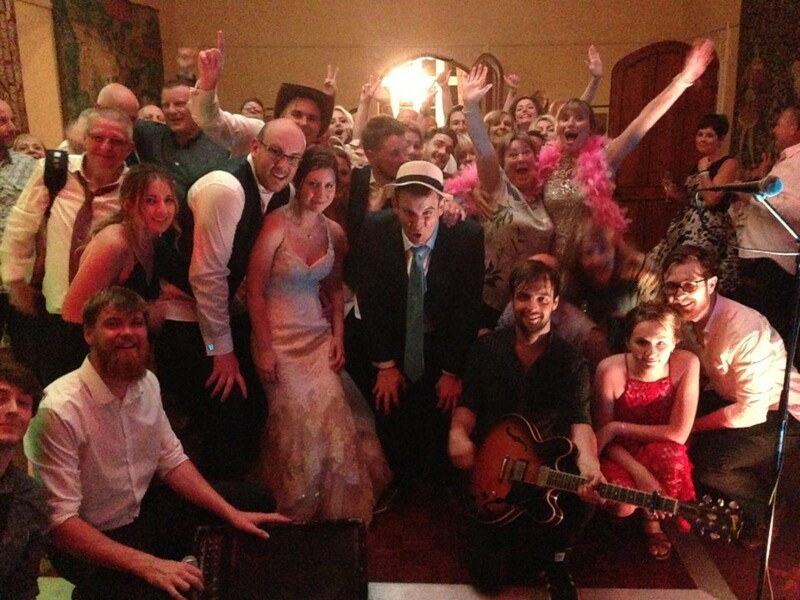 The band is really friendly and accommodating, it was our wedding and they learnt a new song for our first dance. We’ve had nothing but compliments from the guests about the band. The particular highlight was the band letting the Bride’s Father play Summer of '69 with the band! Thanks again to the band! Played all the right songs. Got people up on the dance floor. Fun - Professional and helped create a really good atmosphere. Anthem were amazing. They did an incredible job at our wedding. We were absolutely thrilled with how friendly, approachable and professional they were. They were amazing with all the children at the wedding - so lovely to let them have a little play on their guitars. We have had so many compliments from guests about how good they were. We had an absolutely amazing New Years wedding celebration and we are so thankful we booked this amazing band. Great band, good vibe and the audience loved them! Thanks Anthem. Our expectations of Anthem were far exceeded! They were absolutely incredible and made the evening of our wedding so memorable. Everyone was on the dance floor throughout the both sets they played as they played tune after tune. Our guests went wild for their energy and talent - we had people jumping, waving ties and generally having an incredible time. We loved how they got involved with the guests and finished off the night with a bang. We had so many compliments about how amazing the band were and we cannot recommend them highly enough. Just superb! Arron, who contacted us, was extremely easy going and helpful with our requests - they were all listened to. He was also very enthusiastic about our ideas and the band were complimentary about our wedding party through the evening which I thought was a lovely touch. They were easy going throughout the night - helping with timings and trying to make it all go so smoothly. Top Ratings for the Band Anthem. Excellent, very professional and friendly and would highly recommend them. The band were a great bunch of people & played superbly, we would recommend them to anyone who asks. Everyone at the wedding also really enjoyed them & had no negatives on them. The band were stunningly brilliant! They created a fantastic vibe and atmosphere that everyone could get involved with. My Ushers fell in love with Charley - she was sooo cool! Arron is a legend, having arranged the first dance/flash mob mix for me and sending it to me beforehand relieved a lot of stress. Everyone talks about the dance off and I can’t thank the band enough for making our day so extra extra special. I might book them again just to have another go at the dance off!! Overall, the band were great. They did exactly what we asked them to do plus a bit more. They really engaged with us and our guests, who were also very complimentary about them. They particularly enjoyed the dance off between the bride and groom which was very spontaneous on the bands part and great fun. We would highly recommend Anthem. Awesome band. With the very little direction I gave them, they pulled off an amazing night and everyone enjoyed and talked about them after. I was really happy we were able to have them play even after we changed the date and location. If I have another party I will definitely be getting them back. Thank you guys and girls for an amazing night. We could not have been happier with Anthem. They played 3 amazing sets including our first dance which they learnt for us, a beautiful acoustic set and they even adapted their playlist based on music we'd been playing earlier in the day. Everyone at the wedding loved every minute of it. We're still getting comments on them weeks later. Thank you very much to Anthem for playing at our wedding! You were amazing and so many people have said how much they enjoyed your music! Brilliant. Really responsive to our requests and great with the kids too. Everyone loved them! A massive thank you to the guys, they were so good, got everyone dancing, and our first song was amazing. Absolutely made our wedding. The band were on time, professional and friendly and the music was great and really got us dancing, thank you. Arrived on time. Polite and friendly. Entertained all our guests with ages ranging from 25 - 75. Lots of very positive comments, all enjoyed them. Some wanting to book them for events in the future. Lovely selection of music to suit all ages. Got almost everyone up and dancing. We loved them. Many thanks. AMAZING!!!! Truly, truly brilliant. They know how to entertain, they know how to create the BEST party atmosphere. The dance floor was packed and we had the most fantastic time. All my guests commented on how fab they were. And Aaron was a dream to work with prior to the party and was attentive throughout, making sure we had the performance just how we wanted it. Thank you so much. Anthem were INCREDIBLE! The energy, fun and vibe they brought really made the evening what it was! All of our guests commented on how amazing the band were, and one has even followed up to ask for contact details! The band were amazing and engaging. 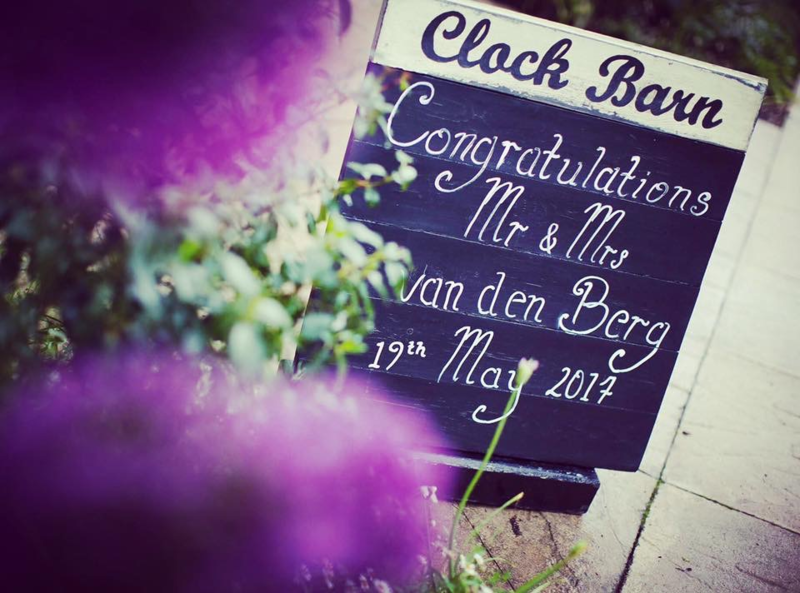 The whole process from enquiring, booking, to the final event was easy and I'd totally recommend them. Anthem were simply brilliant!! Everyone has said how great they were and the proof was very much the fact that the dance floor was constantly full and never empty! The guys were also so accommodating and put their own twist on our first dance song. We initially thought they would have to play it through the AV system however when we spoke to them, they reassured us that they could play it and checked we were happy with them putting their own twist on it, which we were! We would 100% recommend Anthem to anyone that asks with weddings and parties, they are just fab!! The band were absolute awesome about everything from start to finish of the whole process. We genuinely cannot thank them enough... they absolutely made our wedding!!! Great band, very friendly and got everyone dancing. Excellent performances and general all round decent humans. Cheers! Such a great band. From the contact prior to the event to their performance on the night. Their set was fantastic, they had everyone up dancing all night. All our guests had so much praise for these guys, I really can't recommend them enough! Fantastic, thank you! They were brilliant. Really got a vibe going and the everyone at the wedding commented on how good they were. The dance floor was never empty. I cannot recommend Anthem highly enough, what a fantastic bunch! We hired the band for our wedding as they had played at my brother's wedding a number of years before and had been awesome then - and they still are! The dance floor was packed from start to finish and the guys really connected well with the audience. The whole booking process, and contact with the band before the day, went really well and the performance on the night was such fun (especially the individual guitar lesson with the bride, which was brilliant - although I was rubbish!) A massive thank you to Warble and most importantly, the band for making our night so memorable!! Hope to see you play again sometime! Anthem were one of the best things about our wedding reception! They were not only accommodating, playing some very random song requests, but exceptionally talented! They had ALL our guests up on their feet! Everyone has spoke about how much fun they had dancing and jumping around to some awesome tunes. We absolutely loved their live play list, the mixture of songs they played was great and the second set (which mainly had a rock vibe) made the night! No one wanted them to stop! Thank you guys from your new No.1 fans, Mr and Mrs Carter! Absolutely amazing! Everyone kept saying how incredible the band were... they are such nice guys and so professional, they really put on a show to get everyone involved! They are a must have for any party!!! Incredible, no other words. Chris and the band were Incredible. From the introductory phone call to good night on the night, they were friendly, professional and reassuring. Exactly what we wanted in a band, got the crowd going and the dance floor was not empty from the moment they started, right until the end. Chris was extremely accommodating during the 'DJ set' as well, even when some of our song choices were a bit suspect! If you want a band who are going to play some classics mixed in with some more modern indie then Anthem are for you. Cannot recommend them enough. THANK YOU! Anthem were amazing!!! The set list was brilliant and I have never seen such a packed dance floor, we cannot thank them enough! We found that Warble Entertainment were extremely efficient from the start with the booking process and talking to them on the telephone. Nothing was too much trouble and I appreciate all their hard work. Anthem were just amazing for our daughters wedding and the dance floor was full all night!! We had personal service and contact with the band by sending in a playlist request! Nothing was too much trouble. They are phenomenal and we highly, highly recommend. Their website doesn't do them justice!! Thank you for a fantastic performance. Best wishes Susie. Absolutely fantastic band cannot fault them. Everyone at our wedding commented how good they where. They learnt our first dance for us and were completely flexible to work around our big day. Big thanks guys, you did great. Anthem were incredible! Not just amazing musicians but also just a lovely, professional and cool group of people. They interacted so well with our guests and were bang on with their set list - the dance floor was literally full from 8pm onwards! Cannot thank you guys enough. I cannot recommend this band enough, there were AMAZING!! We hadn't seen them play (other than the few videos online) and I was a little concerned... BUT they exceeded every expectation and really did make our evening to our wedding reception. The dance floor wasn't empty at any point from the time they started to the spectacular last dance. I would happily divorce and redo it all again just to relive the band! We booked Anthem for our wedding in July and they were excellent! We were unsure as had only seen the videos online so didn't really know what to expect but they could not have been better. Would highly recommend them to anyone! Fab, listened to what we wanted, got there early to set up too. The band were friendly and easy going and everyone thought they were brilliant. We can't recommend Anthem enough. They had everyone dancing from the moment they started playing. A great variety of songs which ensured that everyone stayed on the dance floor. Also, they were just really friendly and polite. Many thanks. Unbelievable band. I hesitate to write that only because they will probably never be available again so we won't be able to book them. We had a glamping wedding party in my parents beautiful valley and Anthem played in the large tipi. We wanted to find a band who were a total cheese-free zone and they totally nailed it. Proper musicians and great blokes, they rocked the place for two one-hour sets. From the very first track Anthem had people up on their feet and by the end everyone from 4 to 77 was dancing, overflowing the dance-floor. All night people were asking where we found them and how unbelievable they were. They also let my drummer mate in for a quick solo as well as well his son, and helped a 4-year-old rock out to Blink 182. 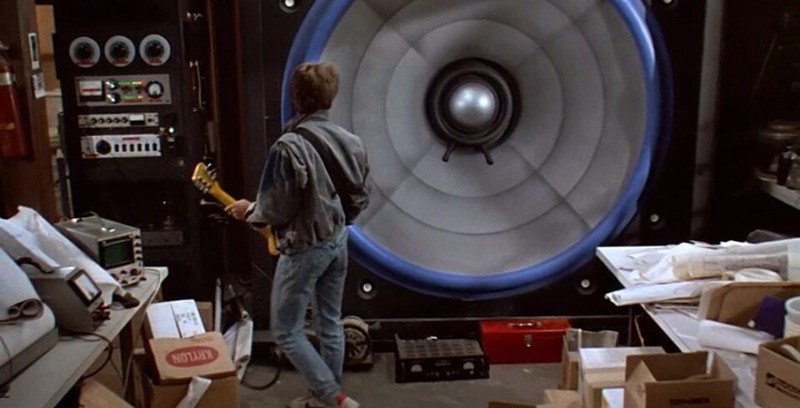 So, in a tribute to Spinal Tap, if I could give them 11, I would. Thank you Chris and the guys. Brilliant. We loved Anthem and so did all our guests. They were a great band, and made the evening party really good fun. They also went out of their way to learn a new song that wasn't part of their current set list for us to do our first dance to, which we thought was really good of them. So overall really great - thank you! Amazing showmen! - They had everyone up and dancing and couldn't have been happier with them. Anthem were fantastic, had everyone up and dancing and sounded amazing. Absolutely fantastic band! They played for our wedding and were truly brilliant. They learnt "Can you feel the love tonight" for our first dance from scratch and it was incredible. They also learnt "Hungry Eyes" which they played as a surprise and made our wedding truly special. We will forget the dance off where me and the groom did a backwards roll on the dancefloor!!! Would recommend them to anyone wanting to hire them for any occassion. Thank you for everything! We were really pleased with Anthem who played at our wedding, they played our first dance live, which made it more special. They were excellent and all of our guests had a great time! I would just like to say a massive thank you to Anthem for playing at my sister's wedding. They were amazing and enjoyed by all. They were brilliant with us all especially as we can be a bit loud! Please thank them - especially for playing "I'm A Believer" - which meant a lot to us all as it's a standing joke amongst us all! Thanks again, highly recommended. The band were fantastic! Very professional and got everyone up dancing, guests have commented on how great they were! Loved the interaction with the crowd! I would definitely recommend them! Superb wedding band!! Anthem were bloody fantastic!!! I dealt with Chris who was friendly and helpful. Their set list was perfect and they played with huge energy. I would highly recommend these guys and really can't say enough nice things about them. Anthem played at my 50th birthday party and they were brilliant! I received many compliments during the evening from my guests with a couple asking for their details. The dance off at the end was such good fun. Thank you guys for making my party the success that it was! Anthem were such a fantastic addition to our wedding and we had so many positive comments from guests during and after the event about how brilliant they were. They really got the crowd going and as a result the dance floor was absolutely packed all night!! Communication between myself, Warble and Chris from the band was excellent. They were really quick at responding to my questions, with Chris immediately filling me with confidence about how the night would run and he did not fail to deliver! Thank you Anthem, it was an incredible party! Absolutely fantastic band, very professional. Everybody had a fantastic time and are talking about it being the best ladies night they have been to and a lot of that was down to the band. Would not hesitate in booking Anthem band again. Well done boys. Anthem were fantastic, so many super comments from our guests, only downside is that they couldn't stay longer. Quick to set up, sounded great, got everyone dancing (and kept them dancing). Loved them. Just brilliant!!! A great group of guys that clearly love what they do. The music kept people on the dancefloor all night and everyone commented to me on how great the band was. First of all - big thank you again to Anthem - who provided us with an excellent evening of entertainment at our wedding. We had Anthem do their acoustic set, which was intimate and worked really well as people mingled after our wedding breakfast. This was later followed by 2 x 60 minute sets which all went down a storm. The song range was spot on and they tailored it to the crowd (and to what we wanted) - the dance floor was full the entire time they were playing. The band were loved by guests - old and young - with many compliments on the night and in the weeks afterwards. We are so glad that we picked them for our wedding, they're the best wedding band I've come across and really do recommend them. Peter & Caroline. The band were unbelivable! Kept everyone up dancing all night long. All of our guests loved them! Very easy to deal with and great music. Just wanted to give a big shout out to the boys for the brilliant gig they did on Saturday. We were celebrating joint birthdays, a 40th, 65th and a 70th, and everyone that attended has asked me to say what a fantastic band they are... they had everyone up and bouncing about! Thanks so much guys for making the party what it was! AMAZING! Stop looking and book this band! Such a top quality and very talented band, we really cannot thank them enough. I spent A LOT of time looking for a band for our wedding, it was one of the most difficult things for me to find. Warble has an incredible selection of artists but I am just so glad I found this band. If you think they are good in the online clips, wait until you hear them live! Their arrival and set-up was professional and seamless. They were so helpful prior to the event and promptly answered all of the questions we had. It was so simple to book through Warble and Annaliza was also incredibly professional, friendly and helpful. On the night this band were absolutely incredible, they played our favourite Tom Odell song as our first dance, and they really did it justice, it wasn't just a straight copy, they really made it their own and it was an incredible version which made our first dance unforgettable. They then played an incredible 2 sets, all of the song choices were well thought out and these guys are incredibly talented, they had the dance floor full the whole night. They were laid back and fun and even very kindly let one of our guests (who plays the drums) to do a song with them. The 'Uptown Funk' dance off was hilarious – our guests loved it!!!! If I could make this easy for anyone struggling to find a band when there is so many to choose from I will say – stop looking now. You have found your band and they will not disappoint. I will definitely be recommending to anyone that will listen, 5 stars just isn't enough. Thank you guys you are incredibly talented and we wish you every success. Fantastic band, very friendly. Great contact prior to the day to discuss what we would like and how it would all work. Band adapted to audience on the night and all our guests had an amazing time. 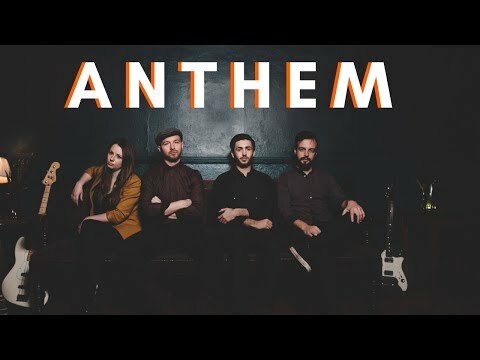 We booked Anthem as our friends had them at their wedding and we thought they were great and we would recommend them to anyone! Thanks guys! They were great, awesome music and lovely guys. These guys were just fantastic! Our guests are still talking about how great the band was at our wedding and it is one of the first things that comes to mind looking back at it now. Anthem were really good at playing the right songs at the right time to get everyone up and dancing - young and old. One of our friends told us afterwards that he was so impressed with the vocals he thought it was the original band playing at times. Very diversified range of songs and all performed to perfection. Anthem also engaged with the crowd, we had people up on stage and they organised a random dance-off which was another highlight. We would strongly recommend Anthem to anyone for any event and we are very likely to be booking them again for our next party. Anthem were absolutely brilliant at our wedding. They had everyone up and dancing and played a brilliant range of music. Our first dance they played on special request and played it beautifully. The acoustic set they did was stunning and the party sets during the reception were brilliant. The girls and boys sing off and dance off were fab and we had lots of positive comments from people about how great they were. We would not hesitate to recommend them! Absolutely great wedding band! They were nicely patient when the day was running over and certainly provided the party once they got going! Cheers guys! Recommend you to everyone! Anthem went down a storm at our wedding, everybody loved them and we've had nothing but positive feedback from our guests. 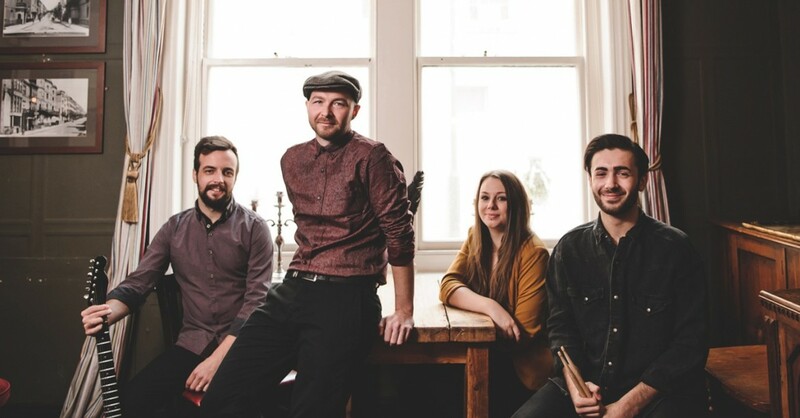 The band were professional and relaxed from start to finish, they allowed the evening to pan out naturally rather than dictating what should happen and when, and were very good at recognising what was being received well and amending the set to suit. They were a perfect addition to our day, and we couldn't have asked for any more. Thank you! The band were fantastic! We were so happy with all the entertainment and everything was so easy to sort out. Worth every penny - they made the evening so brilliant and even got Alex's 92 year old nan on the dance floor. Thanks Anthem! These guys were so good and really made our reception a fantastic night. The guys are lovely and were happy to arrive early to do an acoustic set for us, as well as adapting set timings when we were running late! The dance floor was never empty and there really was something for everyone played! They even let one of the ushers have a little go on the guitar which we didn't even realise until we saw a video of the day a few weeks after! Everyone had just the best night and you were a massive part of that. Thank you! Excellent band, everyone keen to book again for next year! The band was absolutely awesome. The guys were lovely and so helpful, they got the guests involved. Everyone commented on how brilliant they were. A big thank you, will definitely book these guys again for future parties. Can't rate 'Anthem' highly enough! Despite battling against a lovely summer evening where half the guests wanted to be outside, they pulled it off and got everyone on the dance floor having a great time. These guys are absolute professionals who know exactly what they are doing. The range of songs they played suited everyone and the audience participation element was a winner. I'd do it all again tomorrow if I could! The guys were really friendly and easy to get on with. They were flexible with the set times and I felt at ease that they could just be left to get on with things. We loved the music and I've had lots of people telling me how much they liked the band and the music so thank you very much. I would highly recommend them in the future and would definitely use them again. THANK YOU. What a completely amazing band, they did everything we wanted and more. Everyone said how brilliant they were and they really helped set the evening. 100% professional, good looking, polite, fun guys which the ladies loved! We cannot thank them enough for helping make our wedding perfect! Just a note to say THANK YOU! Anthem were absolutely amazing and we have been recommending them left, right and centre! I think they were amazing and will be sure to keep pushing them to any clients of Goodwood. I will probably book them for my own wedding but that won't be for a few years so I shall be in touch! This band is brilliant! We would highly recommend them. They had everybody of all ages up and dancing all night at the wedding. It was a shame it had to end. Our guests are still talking about them a month on! Lovely guys! Arrived promptly, really easy and flexible, and great fun too!! As Annaliza could confirm, we deliberated about what band we should book for AGES. Music is so important to us as a family and I was so worried about booking the right band. Anthem were FANTASTIC. they were easy to deal with, took all our requests and even allowed for some bride and father of the bride participation. Look no further. Thanks Anthem and thanks Annaliza! You made our night one that people will not forget in a hurry! What a party! Lovely group of guys, who put their heart and soul into the party. Highly recommended. The guys were great, they kept the dance floor full all night and people were demanding more at the end! Highly recommend them. The band were fantastic from start to finish! Very professional throughout and we had so many comments from guests at how brilliant they were at getting the party started. We would definitely recommend Anthem for any decent party, they really helped to make our wedding the best day we could have imagined!! Anthem played at our wedding last weekend and were fantastic. We booked them online based on feedback alone and had never heard them before the wedding. 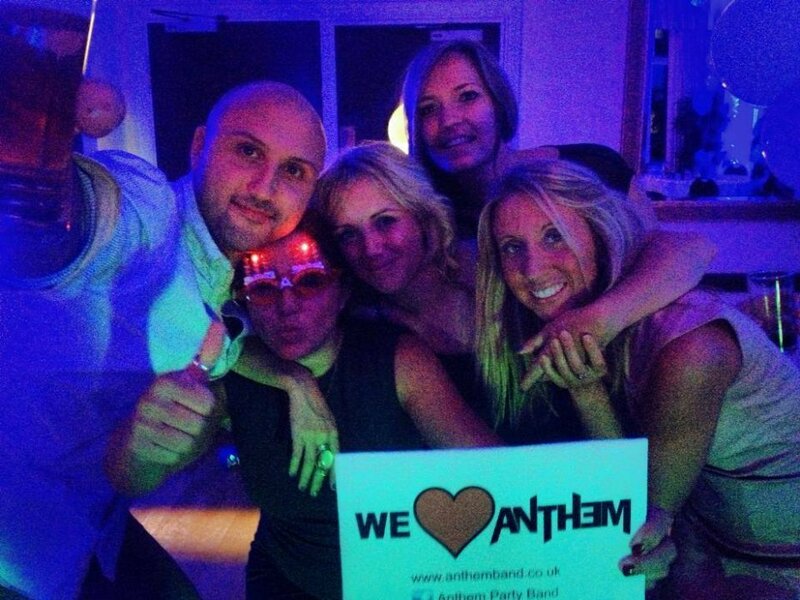 If you are looking for a band to get everyone dancing then Anthem are the band for you! Very professional, worked really hard, learnt two new numbers just for us, read the audience perfectly, real energy and commitment and the nicest guys you could ever meet! Absolutely amazing, so much fun, lovely guys and everyone loved them! Anthem played at my brother's Wedding last week (25/03/16) and they were amazing and I would recommend anyone and would look at hiring them again for my own events. 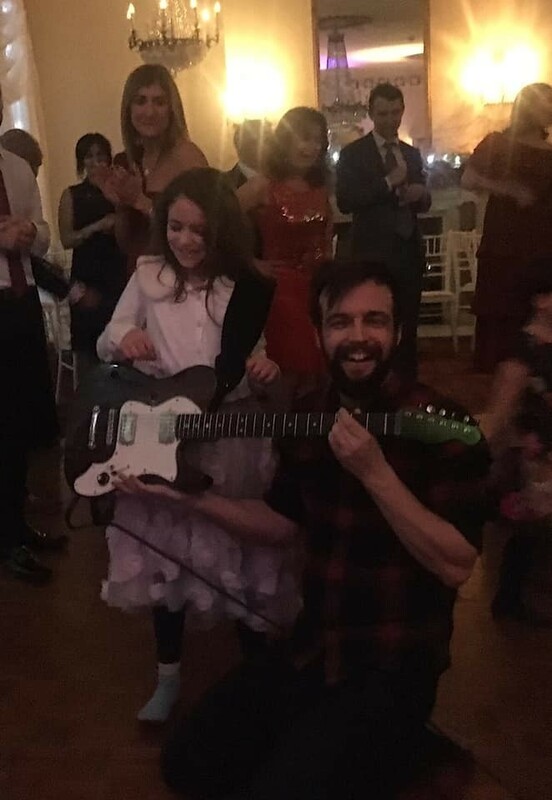 They even had my 6 year old daughter rocking out in the middle of the dance floor. Direct communication with the band before the event was good. They arrived at the hotel when they said they would, giving them plenty of time to set up. A restriction by the hotel was given on what time they could play to, and they were happy to accommodate this and play a two hour set straight through without a break. There were many positive comments from the guests about the band and everyone had a great time. We can not thank Anthem enough for their support and brilliant performance at our Wedding. They judged the crowd brilliantly and got everyone up and having fun. Special thanks also to Nicola Edge who helped arrange everything who was fantastic, very responsive, helpful and reliable. Anthem were fantastic, everyone enjoyed them and lots of people asked who they were and where we found them, they did a fantastic job. Would use them again. Great guys, really likable and they played the crowd well and had everyone up and dancing all night, would fully recommend them for a wedding or other event. Thanks so much to the band for a great night. We were so pleased with Anthem and really can't thank them enough - They were absolutely fantastic! 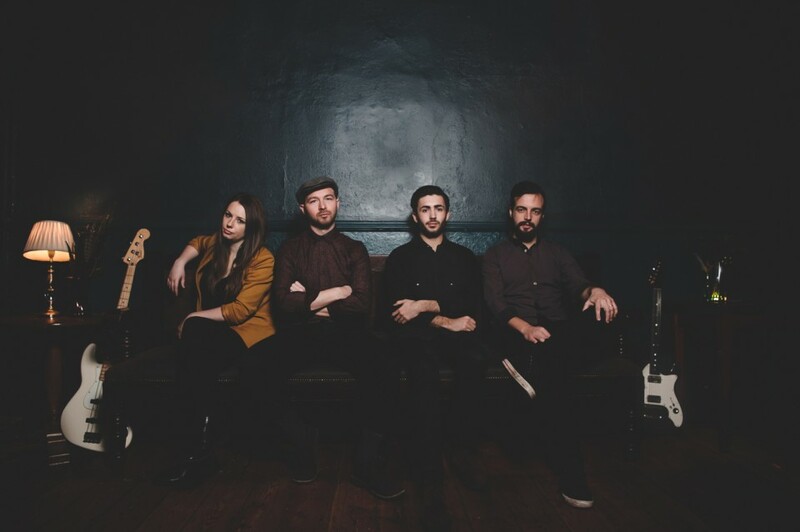 Thank you also to Annaliza at Warble for all your help and for being so efficient with organising the band for us, we would highly recommend Warble and Anthem! Anthem were absolutely fantastic! They really exceeded all expectations :-) All our guests commented on how good they were and we were so impressed with their repertoire, sound and ability to keep the dance floor full! The first dance was also just perfect - thank you! We can't recommend them highly enough! The band were superb and commended by all of my guests for their really excellent performance and ability to follow the mood and engage us all in great dance fun. Great set list and we loved the audience participation in singing and of course the 'dance-off'. Pre-event communication was great. Faultless and full of energy and fun. Amazing band, great music and the interaction was fantastic. All the guests loved them and it was key to making it such a great night. Phenomenal. I was very happy with the service from Warble. Sam was super helpful and always happy to answer any questions I had. Given I live overseas this was a huge help. The band itself (Anthem) were absolutely fantastic! My main contact was Chris in the band who was a delight to chat with. All of our requests were played and the bands performance on the day was electrifying! We had fabulous feedback from our guests and would be more then happy to recommend to anyone with a special event coming up! They got everyone up on the dance floor and Chris' guitar solo to Guns 'n' Roses was fantastic. Such a talented group. Thank you Anthem! Everything we hoped and more. First and foremost they rocked our wedding. Then they let my Dad perform with them and were incredibly kind to him when he was nervous. Thirdly, they learnt 2 new numbers for these performances. Fourthly they were totally flexible as things were running late. Thanks so much! Anthem were just great at our wedding. All of our communications prior were professional and on the day the band arrived on time, set up quickly and were ready to go, even when we asked them to start a little earlier than planned. Our first dance was played and sung beautifully and the rest of the night was brilliant fun. All our guests filled the dance floor and we couldn't recommend them highly enough. Anthem were absolutely fantastic from start to finish. We had an acoustic set in the afternoon and then the full band in the evening. 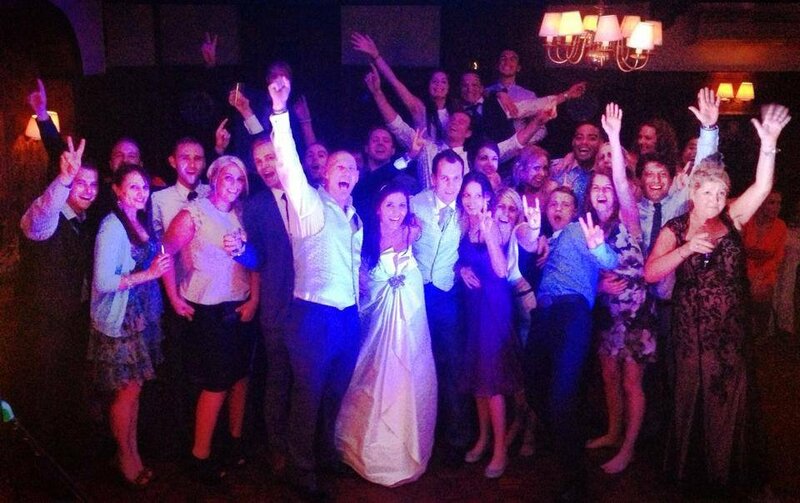 Our guests loved them and were on the dance floor all night long. They knew how to get everyone involved and kept the evening alive. Thank you guys for being so adaptable when our dinner ran late and also for helping us out with microphones etc. for the speeches. You were an amazing part of the team that made our day extremely special. Thank you! Absolutely fantastic - everyone loved you guys. Anthem band were so good! Everyone of our guests has said how good they were. They contacted us one week before we gave them our requests and they were able to do all of them. I will definitely recommend anthem to anyone. Sam at Warble has also been really good from helping me in the beginning and sending out all the paperwork the venue needed. Thanks to everyone involved. They were brilliant, had a fantastic wedding would recommend them 100%. Anthem were amazing. We would highly recommend them. Excellent band as well as really nice guys. They really made our wedding extra special. Great lads great music fantastic night, what more can I say! I would recommend them to anyone who is looking for a band. Brilliant. Thank you. Superb group of guys who can play fantastic music! The guitar solo on 'I Believe in a Thing Called Love' was so good. Chris was easy to deal with in the lead up. Happy with everything from the beginning till the end. Booking process straightforward and any queries were dealt with immediately. Anthem were great - happy to set up early and there were lots of compliments about their performance - they have a very slick and professional sound. Anthem were brilliant! They were friendly, professional, well organised and a pleasure to deal with. 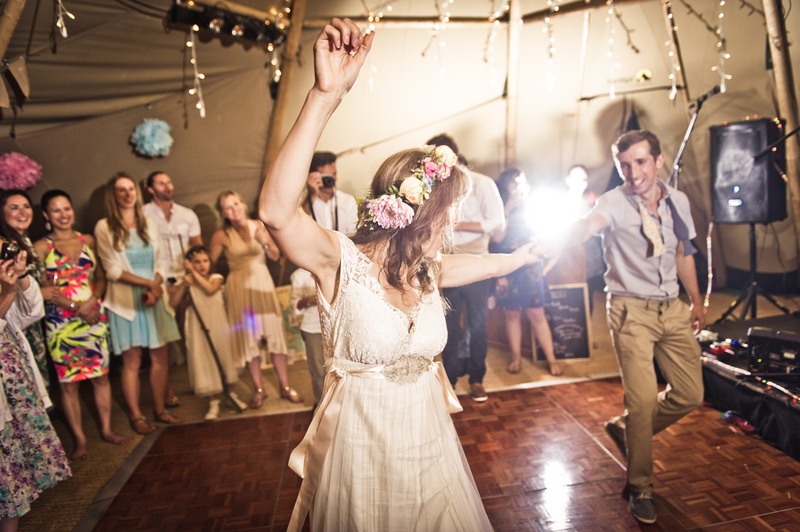 They created a fantastic atmosphere which had loads of our wedding guests dancing with gusto. The music and sound quality was great. I would recommend them to anybody. 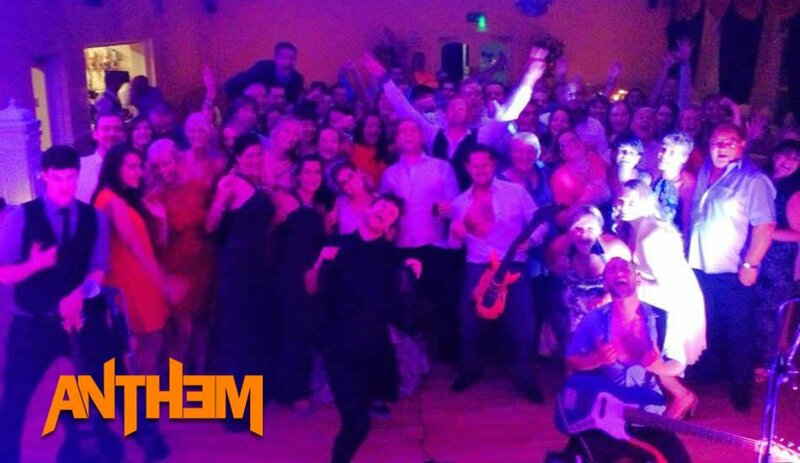 We were really pleased we booked Anthem, they made our wedding evening into a fantastic party. Thank you guys! Everybody at our wedding (us included) thought the band were awesome. Definitely the best part of the wedding, jumping around the dance floor all night to their tunes. If you are umming and arring, don't! They are well worth it. I hope we see them again at some other event. Apologies for not being in touch sooner. The service we received from yourself and the band was excellent. The booking process and payment process was simple. Anthem, what can I say. Incredible! You made the wedding, and really made it extra special. Thank you! Anthem were great, they played for us at our wedding and delivered a set that kept the dance floor full all night. They learnt our first dance and performed it in the style we had had requested which we loved. Our son Isaac absolutely loved them also, he was one of the first on the dance floor and was the last off of it. He even spent the interval with the band! The guys are friendly, professional and very talented so would happily recommend them to anyone looking for a live band who likes to party! Anthem were absolutely perfect for our wedding - they played our requested first dance song, despite having never played it before, and they absolutely nailed it! My wife (!) and I had goosebumps from the first chord, and it got better and better. The band then judged the rest of their set perfectly and our guests loved it - the dancefloor was full and the guys found a great balance between songs with audience participation and general floor fillers. During their break the guys mixed with our guests, were super chilled out and were genuinely good blokes. I'd highly recommend Anthem to anyone having any sort of party, assuming the party is supposed to be fun! Absolutely brilliant. Nothing else to add. Anthem were fantastic!!! The music was brilliant and they even learnt new songs to play in the gig. They contacted us well in advance of the gig and arrived at the venue well in advance. They were very professional. Couldn't fault them. Superb band - they played our first dance brilliantly and their ending was just the icing on the cake. They were brilliant. Excellent fun and got everyone up dancing. A great range of music to suit all. Anthem were amazing and surpassed all our expectations! They helped us with scheduling the first dance, and were flexible when we ran behind schedule. They played two great sets that had most of the guests dancing. The evening culminated in a fantastic dance off, orchestrated by the band, that was hilarious and a lovely way to end a perfect evening. If you want to have a fun evening with fantastic music, you should book this band!! Thanks Anthem! I don't think we have enough words to describe how awesome this band are! They made our wedding party the best night we have ever had. All of our guests loved the band. Book them you will not be disappointed! Fantastic! Anthem were brilliant and had our dancefloor rocking from the start! Would definitely recommend and their "smells like teen spirit" was spot on, had my boys shaking the floor from jumping so much! The band arrived well on time and were quickly set up and ready to play. Everybody enjoyed the evening. I cannot add anything more. Everything was perfect. Anthem were brilliant. So much love for these guys. They really do put on a show. Organised, polite and helpful-couldn't wish for better! Anthem were simply superb, a great band, great set and everyone loved them! Great band and very entertaining! Made our Christmas party - Well done Lads!! Excellent band and very accommodating in evening arrangements! Even got involved with the auction. Great afternoon of entertainment - a guest had asked for your details that I will pass! 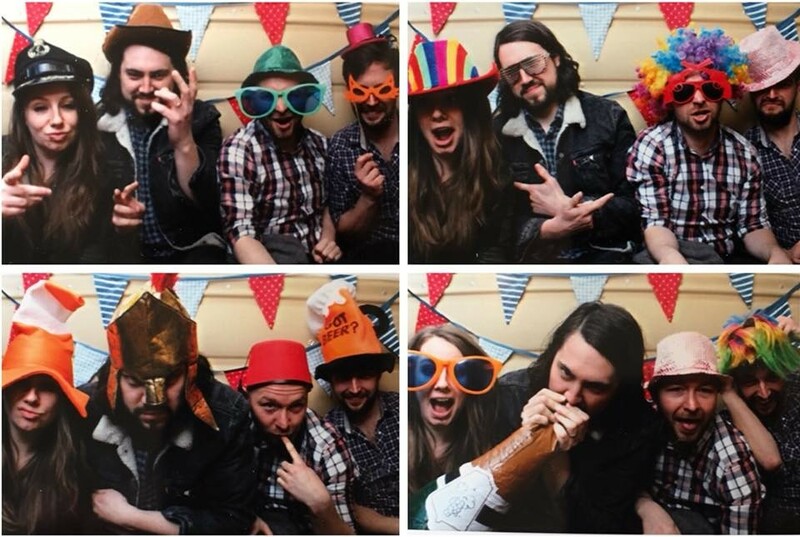 We wanted a band who would get all of our wedding guests on the dance floor having a great time. Anthem did not disappoint. Great guys who were absolutely amazing. Played a fantastic set perfectly suited to our guests and as equally important, suited to us; the bride and groom. Could not fault them and would definitely recommend them. 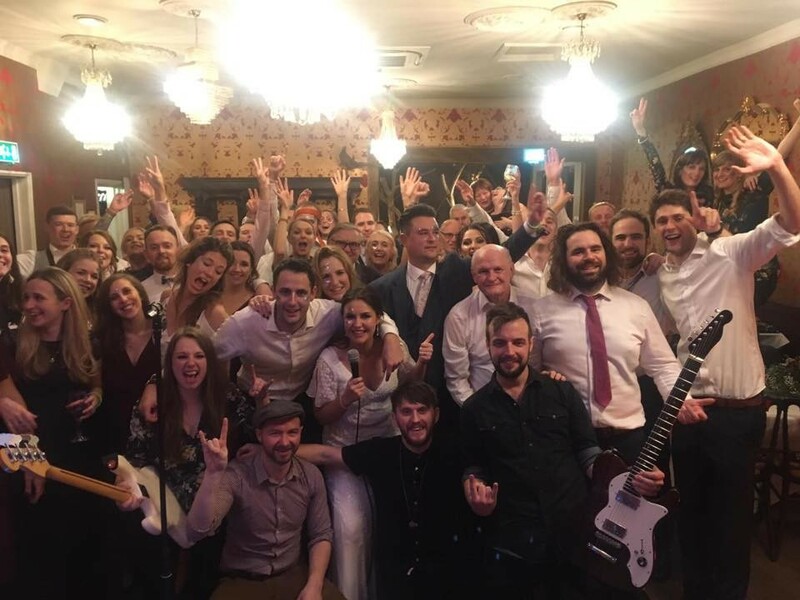 Anthem were an amazing band, we want to thank you all so much for playing at our wedding it completed our perfect day & everyone said how fab you were. You really got everyone going, you were all great, we had so much fun. My mum & dad was so impressed you'd learnt the father daughter song they'd requested it was a great surprise as was our first dance. We had the best day so thank you all. Very pleased with Anthem at our wedding, they really know how to get the guests involved. Would definitely recommend them and so would all of our guests. 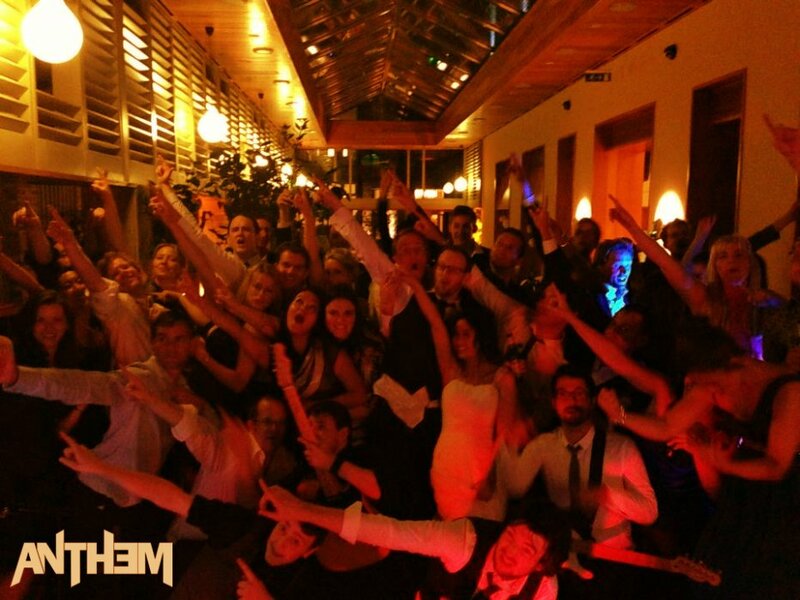 We just wanted to say a huge 'thank you' to Anthem for playing at our wedding at Bartholomew Barn on 31st May 2014. You kept the party going all night long and lots of our guests commented on how great you sounded. We couldn't recommend you highly enough. Many Thanks, Andy & Andrea Stanford. Anthem were fantastic at our wedding. Everyone was raving about how good they were and what fun they had on the dance floor. I would highly recommend to anyone looking for an upbeat, fun, charismatic band who will get your guests up on their feet and dancing. Anthem were brilliant. Fantastic set list and charismatic performance. 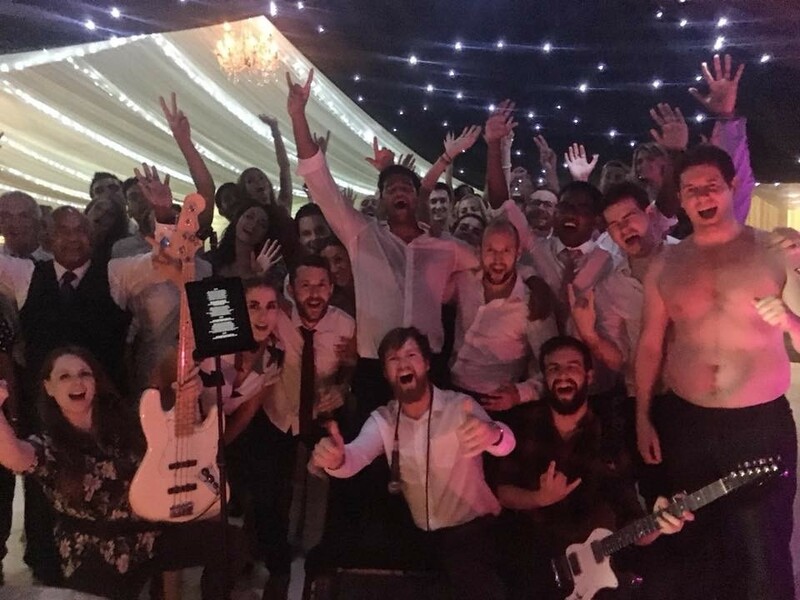 Chris and the guys were so helpful throughout the planning process (with our set-list requests and first dance etc) and then totally smashed it on the day - our guests loved them! Thank you so much for helping make our wedding day so special. I cannot recommend this band highly enough, they were fantastic! All the guests commented on how great they were and they packed out the dance floor all night long. Well worth the money paid. If you're lucky enough to be getting married or just having a party soon BOOK ANTHEM!! We were very pleased with Anthem. Their music was awesome and really helped to make our wedding day amazing. They managed to play lots of our requests and by the end of the night everyone was enjoying the dance off! 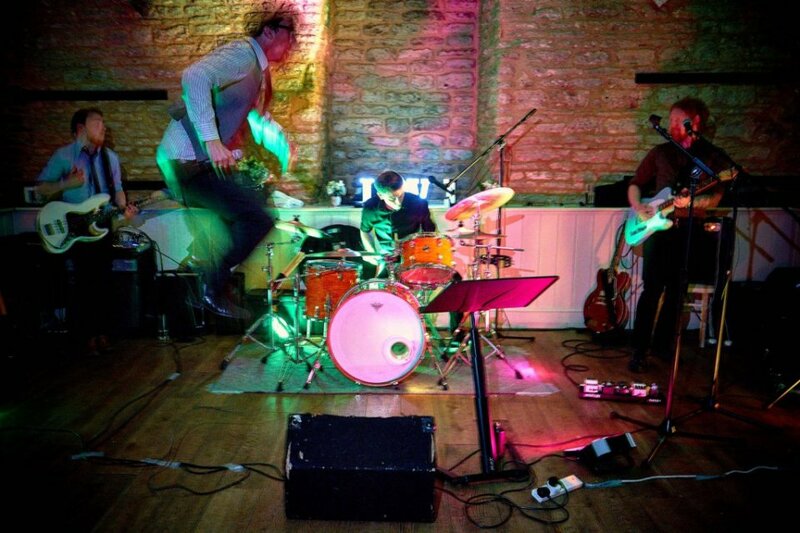 We weren't looking for a typical cheesy wedding band, so Anthem were the ideal choice for us. Anthem were amazing! Managed to judge everything perfectly and create an amazing atmosphere at our wedding. Super chilled out when a slightly 'merry guest' decided to join in on the microphone and kept the dance floor packed all night. I will be recommending this band to anybody that will listen!! Anthem are Fantastic! A real must for your big day or special event. I was contacted a few weeks before the wedding and we talked about their set and what songs we wanted to be played and what we wanted for our first dance. Anthem turned up at a good time and setup their equipment and didn't disturb our guests. Their first song was our first our first dance, which they performed perfectly. Throughout the evening they played all the songs really well and interacted with the crowd. They got everyone up and dancing. All our guests enjoyed Anthem. They are all really friendly and welcoming. The band were fantastic. They listened to what we asked for and they really got the crowd going. They let everyone join in and play on the instruments which created a great atmosphere. One of the best wedding bands I have seen. We are so pleased that we chose Anthem. They were simply brilliant. The band was ACE. They were really good fun, have a great repertoire and sound AMAZING! Everyone was on the dance floor all night so thanks very much!!! I think you always feel a it nervous booking something you have only heard on the Internet but have no fear with Anthem, they deliver 100%. At the same time they were professional and on time. They also took all our faves for the DJ playlist in between sets despite us only emailing them over a few hours before! Thank you so much, great night! Everything was great and the band were amazing! Highly recommend Anthem! Anthem were fantastic. We danced from the minute they started to the minute they ended. We have already recommended them. Everyone at the wedding thought they were brilliant. Thank you for providing exactly what we wanted, a great party. Warble were great at keeping in touch before the event and very fast to respond. Once we got nearer to the day, the band reached out to us to discuss preferences, timings etc which was really helpful. It meant that on the day everything went to plan and the band were great. They got people on their feet and dancing and was much more of a success than if we had used a DJ, so thank you very much. I also just wanted to say thanks to Ryan because you and the band for made our evening such a great party. We had a great day and your music was an awesome way to wrap up the night. You guys absolutely rocked!!!! We LOVE you! Thanks so much for making our night :-) You were beyond brilliant!! WOW WOW WOW. Words are not enough to explain how awesome Anthem are. From the booking process, to the pre-event call to the set up and then actual performance, Warble and Anthem were brilliant! The guys from Anthem get so involved in the crowd and really know how to get a party going and carry it on! Even relatives we thought had dodgy hips/knees couldn't resist!! 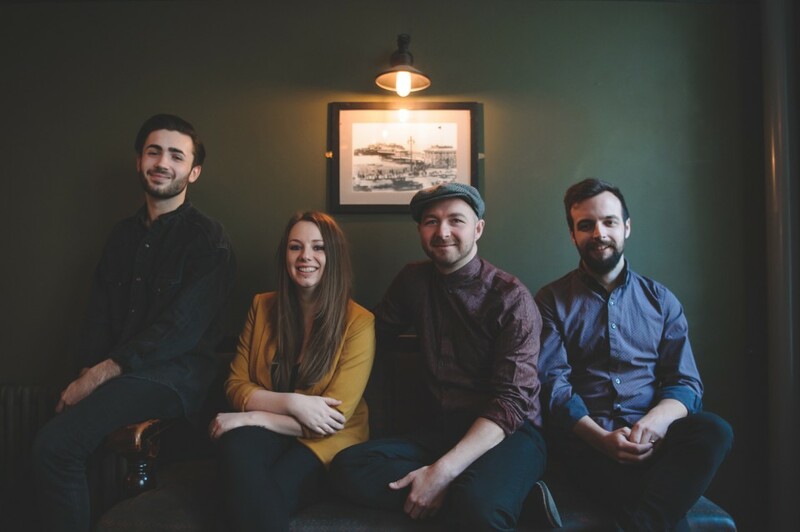 We would not hesitate to recommend Anthem and are really looking forward to finding an occasion we can ask them to play again for us. Great talents, lovely guys and so easy to deal with. On your wedding day the last thing you want to be worrying about is acts/suppliers and Anthem put our minds completely at rest from the start and didn't just deliver but well and truly exceeded all expectations. Thanks Ryan and the Anthem guys! You really helped make our day fab! Really enjoyed having Anthem for our wedding. They had most of our guests on the dancefloor for the whole of their set. We really liked the "last dance" that they organised for their closing number and would recommend them to others who enjoy the songs that they play. Anthem played at our wedding and were amazing. They really got the party going - the dance floor was filled from the moment they started playing. I was initially apprehensive about booking a band as I didn't want anything too cheesy, but we made the right decision with Anthem - they played exactly the right mix of music, and even played our first dance live for us even though it wasn't in their repertoire! So many guests (of ALL ages) commented on how good they were - really couldn't fault them at all. Great bunch of guys, really professional and accommodating - they even helped my dad to perform a little impromptu tune on stage for us (which was a nice surprise!). Thank you so much guys, you really made the evening something special! They were fantastic. Really knew how to get the party going and nice guys to boot. Thanks for doing a great job on my daughter Natalie and Pete's wedding last Sunday at Rothley Court Hotel. Really enjoyed it and thanks for letting me in on Summer of '69. Great fun! The group were fantastic everyone had a great time and were dancing from start to finish. Would recommend them anytime. Hi Anthem! 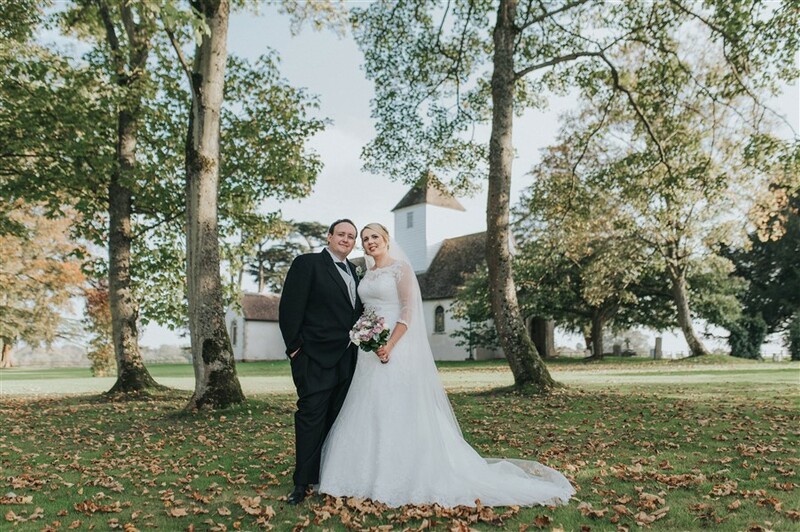 I just wanted to get in touch now Jason and I have finally come down from our amazing wedding at winters barns on 15th June to say a massive thank you! You really outdid our expectations and really got the party going. We have received so many wonderful comments from our guests and I have already recommended you guys for a friends wedding. You created a fab atmosphere and made Jason and I feel like rock stars! Your sets were great and you got everyone singing along and we loved our first dance you learnt on request. The most memorable moment for both of us was the circle of love to end the evening. It was such a nice way to end our evening and it was so amazing to have our loved ones surrounding us wishing us well! You are so talented and we will happily recommend you to all our friends and family! Thanks so much for making our wedding reception go off with a bang! I'm not quite sure where to start in explaining just how brilliant Anthem were! I am just so so pleased that we booked them for our wedding. It's a bit nerve racking booking a band for your wedding, as apart from other people's feedback and your gut instinct, you don't have much else to go on. And for us it was such an important part of the day. In hindsight I shouldn't have worried at all! I can't remember the amount of people who came up to me to tell me how amazing they thought Anthem were, and the dance floor was packed from the minute they started playing until the minute they finished. We had guests of all ages at our wedding - and they all loved Anthem just as much! Ryan was such a help when it came to organising everything, as he definitely had far more experience than me! He answered all my queries and allayed any concerns that I had. Anthem played such a big part in making our day as special as it was and I cannot thank them enough. We booked Anthem for daytime entertainment at our wedding and they were absolutely fantastic! Ryan was a pleasure to deal with and was happy to discuss playlist requests etc and put our minds at rest that with their combined experience they would play the perfect song at the perfect time and my gosh did they deliver! They turned out tune after tune after tune and even though they were playing in the early afternoon they still managed to fill the dance floor! They read the audience perfectly and even our older guests who weren't necessarily familiar with the songs played thought that they were absolutely fantastic! 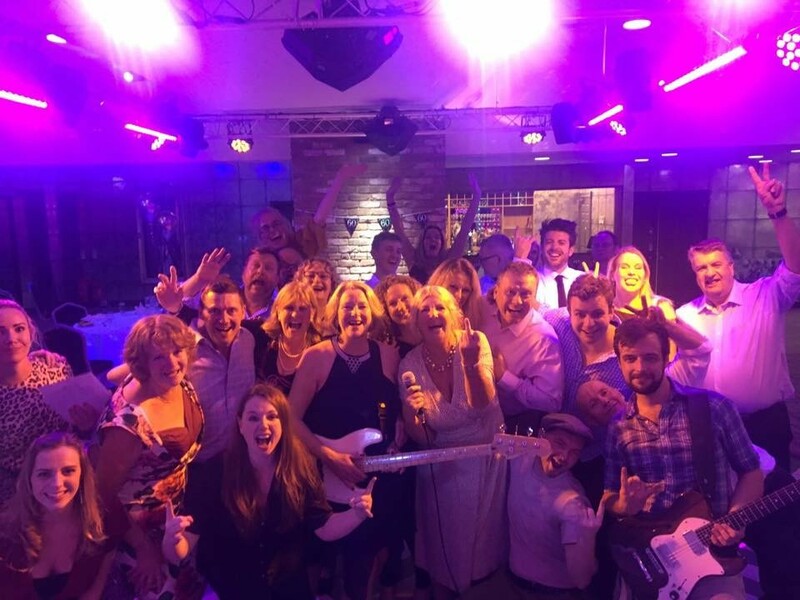 If you're looking for a band that provide much more than your average wedding singer and bring personality, fun and wonderful memories to your big day, be sure to book Anthem! Anthem were fantastic! My now wife and I booked them for our wedding and we weren't dissaponted. From the moment we booked them the process was easy. Ryan from the band was very easy to deal with and very accommodating to our requests. We have had so much great feedback from our guests about Anthem, they really did help make our day as special as it was. I can highly recommend and will be using them again for future functions. Thanks Anthem! 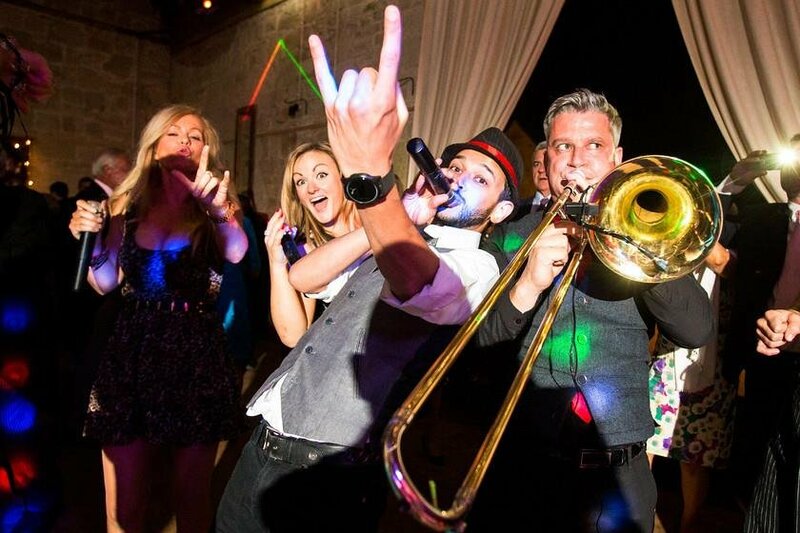 Anthem played at our wedding and we're so glad they did as they made the evening totally ROCK! They had the whole room up dancing and the singer has a long lead mic so he was out on the dance floor with us all and it was just amazing. They played a wide range of songs for all ages and they did a last dance for the bride and groom where they get all your guests dancing around you. It was so good. We can't thanks them enough! Highly recommend this band. Our guests had a fabulous time. Professional and friendly. Their personable approach made the whole experience from first contact to the end of the event a pleasure. Amazing wedding band - in fact, amazing band full stop. The boys rocked our party hard and the feedback we got was top - everyone was pogo-ing like lunatics most of the night and we loved them. Don't book your band after the venue - make sure Anthem are free then get your location sorted! 'Best wedding band ever' was all we have heard over the last few days and we couldn't agree more. Anthem were incredible. Guests have said they've never seen a dance floor so packed, everyone danced the night away! They learnt out first dance song, adapting it just how we asked. The set list was amazing and the boys were great. I can't praise them enough! Warble answered all queries and sorted everything out - service was great! Overall, the band made our wedding even more perfect. Thanks guys!!! Dear Anthem, thank you so much for a fantastic evenings entertainment. I have never seen the dance floor so packed. The music was amazing and was over the moon with your entire package. I fully recommend your band for anyone planning a future event. Band were punctual, great entertainment, great lads. Everyone loved it! Basically, you were brilliant! All of our guests were utterly in love with you and said you were the best band they had ever seen at a wedding. Great atmosphere, great guys and utterly professional with set up and clear away. Thank you for making our day rock! Dear Sam, Anthem were extremely good last night. The guys played an excellent choice of tracks and were musically faultless. They got everyone dancing and even animated us reserved Senior Old Farts to chant along to their tunes. Top marks. So, thanks again for all your help. The guys were absolutely amazing! The played an amazing set with so much energy there was not one person sitting down. All the guests have been giving them rave reviews and I would totally recommend them. Thanks so much for organising this for us. Warble Entertainment have been a pleasure to deal with from start to finish. Communication has been excellent. I had every faith that the band would deliver, and they certainly did. They knew exactly how to get everyone going, and by then the vino had been flowing so the floor was filled. They put up with me grabbing the microphone to sing (more than once) and also let my friend who can actually sing belt out Footloose with them. Not to mention my Mum dancing to "I Predict a Riot". I have had many comments on how good they were, and a few of course comment on how handsome they were :-) haha. I would highly recommend the band for all occasions, they certainly got the wedding reception going for us. Thank you so much. Hi Anthem, you certainly didn't disappoint on the night and we really enjoyed your acts as did all our guests. We particularly liked your energy and the way you tried to get everyone involved. Thanks again! I simply dont have the words to describe just how good Anthem were at our wedding! They provided the party end to a wonderful day and were simply brilliant... I honestly can't thank them enough... I cannot recommend them highly enough... if you want a class act - look no further - you have found them! You guys were amazing... thanks so much for making the evening of the wedding so special! I will never forget "500 miles"... ! It's always hard picking a band when you only have the website and audio to go by but I am so glad that we took the plunge with Anthem. These guys were brilliant! As soon as they started playing people took to the dance floor and never left. They arrived early and set up with no hassles and were even happy to adjust timings on the night because things were running slightly behind schedule. Anthem were friendly and couldn't help enough and they blew us away with their sheer talent. They were kind enough to learn a couple of requests for us, which really made the performance feel personal. Thank you Anthem for making our wedding reception amazing! We would book you again in a heartbeat and hope to see you at some of our friend's weddings in the not too distant future! Anthem were a brilliant band - getting everyone dancing from their very first song! Just what we wanted for our party. A really brilliant night and everyone loved them. Anthem were UTTERLY fantastic, we are still receiving feedback from family and friends about how amazing our band was! They sang an awesome mix of old and new and for a wedding where most of the guests were under 40, they still got the oldies up and dancing too! Honestly, we could not have wished for better and hope that they will send us the group pictures they took on the night! We definitely will never forget Wonderwall, lifted up on the shoulders of our friends, it will be with us forever. Thanks so much guys - you are the best!!!! Thank you so much for rocking our wedding! We had an amazing day, you guys were brilliant and made our evening! You guys were absolutely amazing! The playlist was fantastic and every song was spot on. The way you interacted with the guests was unforgettable. Everyone was on there feet, dancing on tables - the duet with little Harry will live in his mind forever! You have been the highlight of our special day and topic of conversation since! Anyone in any doubt of which band to have for a special occasion - look no further, you are guaranteed a fantastic gig. Thank you once again and we wish you all the best for the future. We booked Anthem to play at our Wedding. 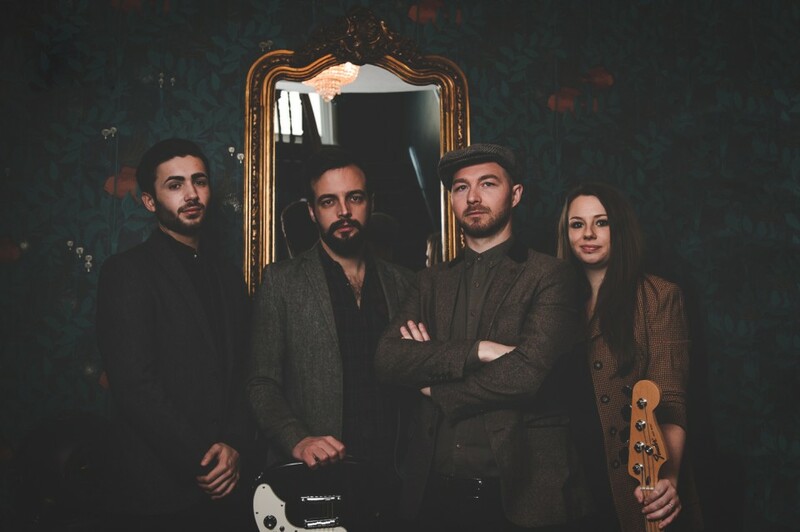 We had seen them play at a friend's wedding previously so knew how great they were at getting everyone on the dance floor and getting involved and they delivered again with a faultless performance. We cannot recommend Anthem highly enough. Thank you guys! 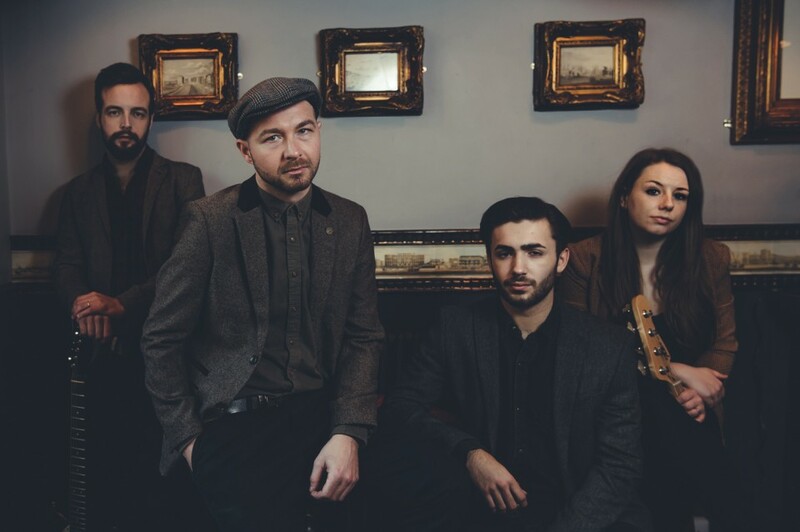 Anthem are a highly-sought after and professional 4 piece band with experience of performing for Weddings, Parties, Charity and Military Functions UK Wide. In addition to the full band, Anthem are also able to offer a 1 x 45 minute acoustic option for those more intimate or mellow moments. As standard Anthem perform 2 x 60 or 3 x 40 minute live sets. In addition, Anthem are able to offer a 1 x 45 minute Acoustic Option, which is perfect for during Drinks Receptions or Wedding Breakfasts. Because Anthem want you to have the whole nights entertainment sorted when you hire them, the band offers a FREE DJ option that runs when the band are not performing. The FREE DJ option is performed by a member of the band using DJ mixing software with party classics on hand to keep the wedding party jumping! Where possible they will take any special requests on the evening and with the DJ option being provided via the band's equipment, the space utilised at the venue is kept to a minimum... And so looks very tidy. Customers who have enquired for Anthem have also been interested in the following rock and pop function bands who are also available in Hove, East Sussex and cover London and the South East of England. For more information or further options, please call 0845 643 9384. David was amazing, all of our guests really enjoyed being drawn by him. Thank you so much. We would definitely recommend you. Great band with a variety of music, interacted brilliantly with the crowd, enjoyed by everyone with great feedback.